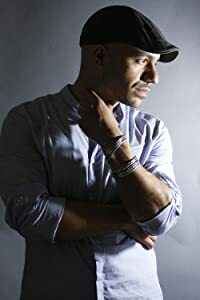 Daniel José Older is the author of the Bone Street Rumba urban fantasy series from Penguin’s Roc Books and the Young Adult novel Shadowshaper (Scholastic’s Arthur A. Levine Books, 2015), which was nominated for the Kirkus Prize in Young Readers’ Literature. His first collection of short stories, Salsa Nocturna and the Locus and World Fantasy nominated anthology Long Hidden: Speculative Fiction from the Margins of History, which he co-edited, are available from Crossed Genres Publications. You can find Daniel’s thoughts on writing, read dispatches from his decade-long career as an NYC paramedic and hear his music at ghoststar.net/ and @djolder on twitter and youtube. CLICK HERE FOR MORE BOOKS BY DANIEL JOSE OLDER. 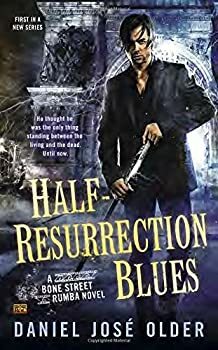 I love the world Daniel José Older creates in his urban fantasy Half-Resurrection Blues. I love the feel of Brooklyn; the sounds, the sights, the sensibilities; the descriptions of the smell of cigar smoke, booze, and food from the bodegas, sushi bars and food carts. This Brooklyn is full of life — and full of ghosts, which is where our protagonist, Carlos Delacruz, comes in. Daniel José Older’s Shadowshaper was one of the best books of 2015 — not “best YA books” but best books of all categories. 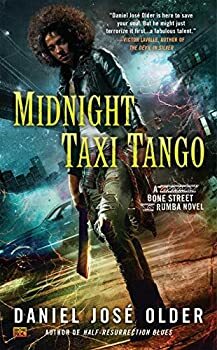 It featured an engaging, authentic female hero, an original magical system, mundane issues as well as magical ones, and a distinctive voice and sensibility. 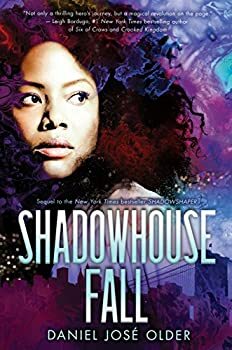 2017’s sequel, Shadowhouse Fall, shows no second-book slump in this series. Shadowshaper — (2015-2017) Paint a mural. Start a battle. Change the world. Sierra Santiago planned an easy summer of making art and hanging out with her friends. But then a corpse crashes the first party of the season. Her stroke-ridden grandfather starts apologizing over and over. And when the murals in her neighborhood begin to weep real tears… Well, something more sinister than the usual Brooklyn ruckus is going on. With the help of a fellow artist named Robbie, Sierra discovers shadowshaping, a thrilling magic that infuses ancestral spirits into paintings, music, and stories. But someone is killing the shadowshapers one by one — and the killer believes Sierra is hiding their greatest secret. Now she must unravel her family’s past, take down the killer in the present, and save the future of shadowshaping for generations to come. Full of a joyful, defiant spirit and writing as luscious as a Brooklyn summer night, Shadowshaper introduces a heroine and magic unlike anything else in fantasy fiction, and marks the YA debut of a bold new voice. I’ve commented before that I give very few five-star reviews. 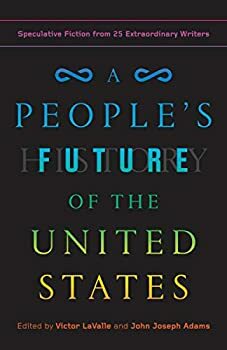 Usually, I expect a book to somehow change my thinking, or how I see the world, in order to rate it a five-star book. 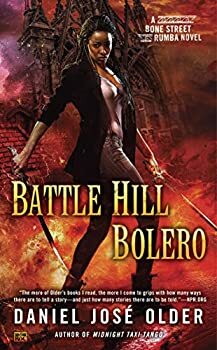 As I sat down to write this review I was going to say something like, “While that didn’t happen with Shadowshaper, by Daniel José Older, I still…” and then I thought more about it, and decided that Shadowshaper has changed how I think about the world, mostly because of the time I spent with the main character, Sierra Santiago, who is a hero, an artist and a genuine girl.